Northalsted Market Days is the largest street festival in the Midwest and Chicago's most vibrant summer party with over 200,000 expected to attend. Northalsted Market Days 2019 is the 38th year of this annual festival drawing visitors and tourists from all across the nation and world.  Northalsted Market Days® is the largest street festival in the Midwest and Chicago’s most vibrant summer celebration, August 10-11, 2019. The weekend long festival features an all day lineup of live music on 4 stages, 200+ unique vendors, arts, crafts, food and drink, DJ’s and dancing, sponsor booths, and more! Attendance approaches 200,000 people from near and far, representing all colors of the rainbow. Founded in 1980, the celebration now spans 6 blocks of North Halsted in Chicago’s Boystown/Lakeview neighborhood stretching from Addison to Belmont. America’s first recognized gay village. Market Days® is easily accessed via the CTA Red Line Addison station at the historic Wrigley Field, multiple bus lines, and rideshare car/cab services to downtown hotels and other lodging. Biz Bash ranked Market Days® in the Chicago’s Top 100 Events of 2018. Opportunities for up to 200 merchants, non-profit, artists, and other exhibitors. Click here for more information and applications for vending and exhibit space. Looking to connect with active consumers at this event? Contact our Marketing & Sponsorship team for pricing and customized benefits package. Talent selection for our 2019 events has completed. For 2020 consideration please check back starting in October 2019 for submission information. The following information should be prepared for consideration: artist bio/EPK, website URL, photos, social media handles, YouTube videos, history especially performances in Chicago and/or future performance bookings, and a price range for booking.